‘Gwillim Close’ is named after Thomas Walter Gwillim. 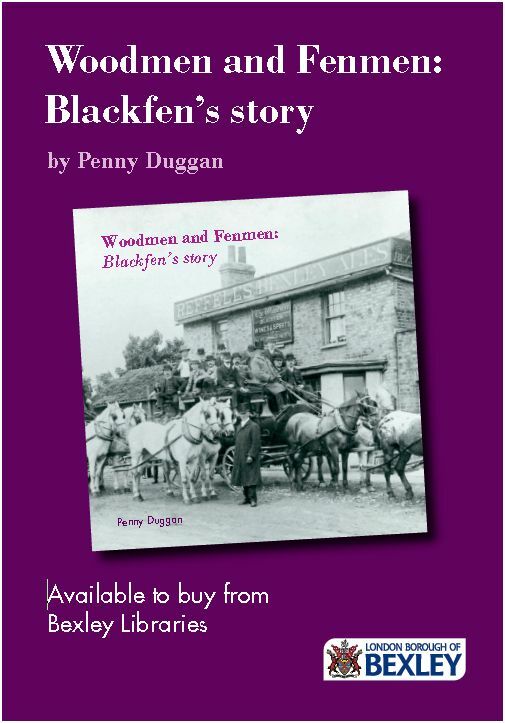 He had been a newsagent in Woolwich but when his father died he had money to buy some land in Blackfen. In 1927 he wanted to build a huge development of houses on the north side of Blackfen Road but planning permission was denied because of access and drainage issues. Instead he built a row of just seven houses in Blackfen Road approximately where the east part of Wellington Parade is now. He moved into one which he called Gwenlliant (after his sister), and this is the only one which survives, incorporated into the 1930s Wellington Parade. Its roof can be seen above the shop roof line. For some years a dilapidated ‘haunted house’ remained where children would explore and scare each other! Gwillim’s land was later sold off but he is remembered in the road name ‘Gwillim Close’.